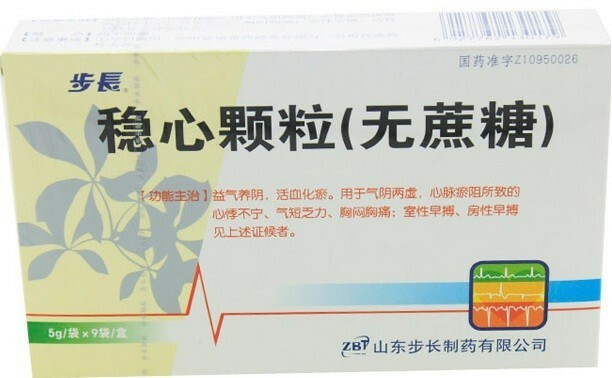 WenXin KeLi, the first state-sanctioned traditional Chinese medicine-based herbal remedy for arrhythmia. Nourishing qi and yin,promoting blood circulation and remove blood stasis. For patients with serious disease conditions, the dose can be increased to two packets each time, 3 times daily. After the disease condition becomes stable, the treatment can be changed to a conventional maintenance dose. Depending on the disease conditions, long-term application is possible. 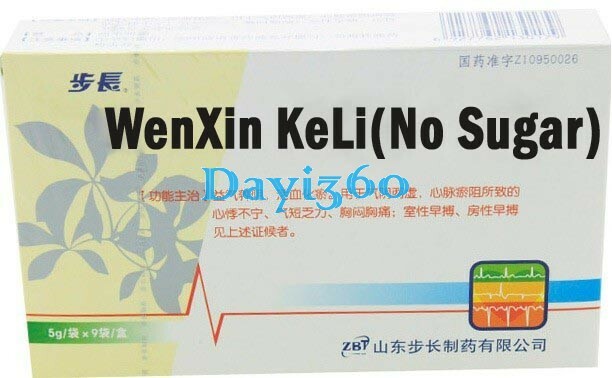 It was reported that the continuous administration of Wenxin keli for 6 months and 12 months resulted in satisfactory efficacy without severe adverse reactions. Reported are available that Wenxin keli can be used in combination with amiodarone,digoxin,metoprolol, carfarin,and propafenone. Occasional Mild dizziness, dry mouth, disappeared after withdrawal. A large-sample study showed that the incidence of adverse reactions in the Wenxin keli treatment group was 0.5%. The majority of these adverse reactions require no special treatment; if necessary, drug discontinuance is usually sufficient. 1. Do not take it with tea. 1. Consult your herbalist or physician firstly if you are taking other medications or receiving other medical treatments. 2. Discontinue use if allergic reaction occurs. 1.No more cold feet feeling. 2.The afib episodes occur less frequently.